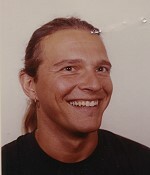 The 1993 unsolved homicide of Dietheim Baumann. On February 26, 1993 Manchester police were called to the rear of the Lafayette Club on Canal Street for a reported shooting. Upon arrival, police found the victim, Diethelm Baumann, age 30, suffering from a gunshot wound to the face. Baumann died immediately from the wound. An extensive investigation spanning several months was conducted into this incident. Police have identified the assailant from a description provided by a female companion of the victim as being a white male, with a moustache and dark hair, last seen driving a pick up truck.